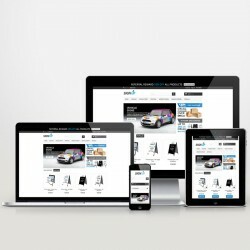 Website Design There are 3 products. An E-Commerce Website contains pretty much all of the modern technological functionality you could imagine... and then some! This type of website is what we recommend for businesses that will be required to make frequent changes to the information available on their website. A simple ‘brochure’ website is for any small to medium sized business wanting to promote themselves on the web. It can advertise your products or services, with the ability to update your content anywhere anytime.